Over the past year, you guys here at LMR have put in outstanding efforts on all fronts and forums of online motorsport across multiple consoles, games and genres. The management team here have always looked to expand and broaden the scope of our racing circle and have been supportive to all our drivers and even friends of the team. 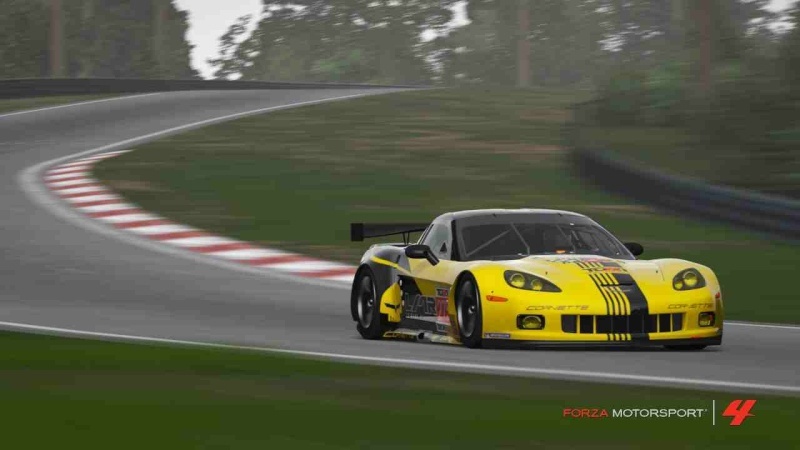 We have successfully ventured out to computer based championships such as iRacing and RFactor and of course the consoles of Playstation 3 and Xbox 360. 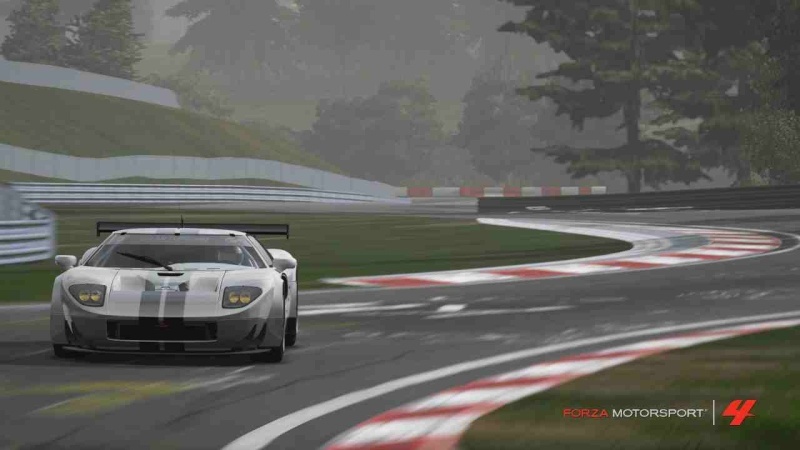 On the consoles is where our greatest success has been made, while we have shown our competitive edge in places such as Formula 1 and Gran Turismo, we always come back to our home here in Forza Motorsports 4. 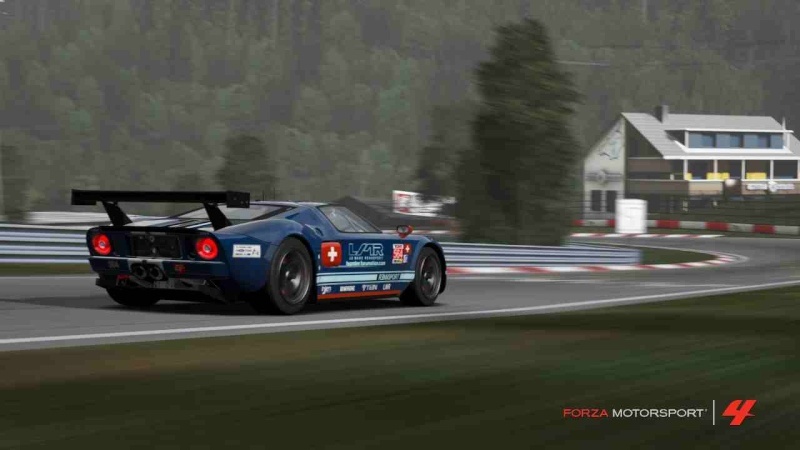 Forza is where Le Mans Rennsport was started and where it grew as a small dream from a gamer named Scantraxx, to the dynasty that it is today with LMR Deftone MX at the helm. 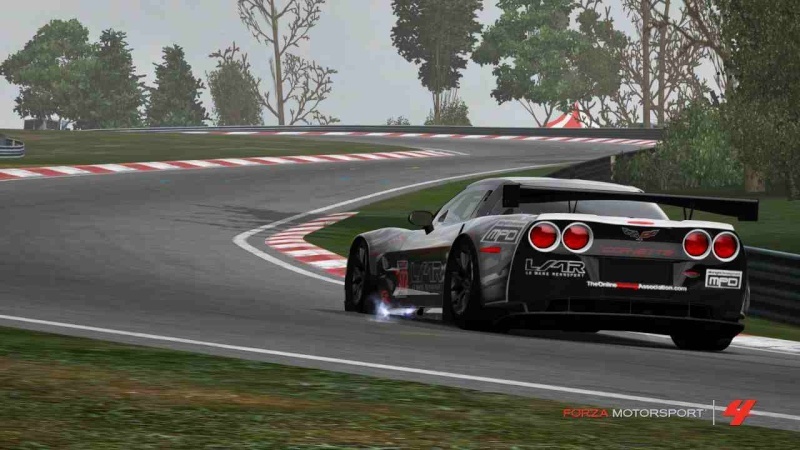 With over 60 members stretched across the world and involved in all classes of racing it's no wonder that when our own LMR DJFiiSHYPR introduced the team to The Online Racing Association, better known as TORA, it became a natural fit. 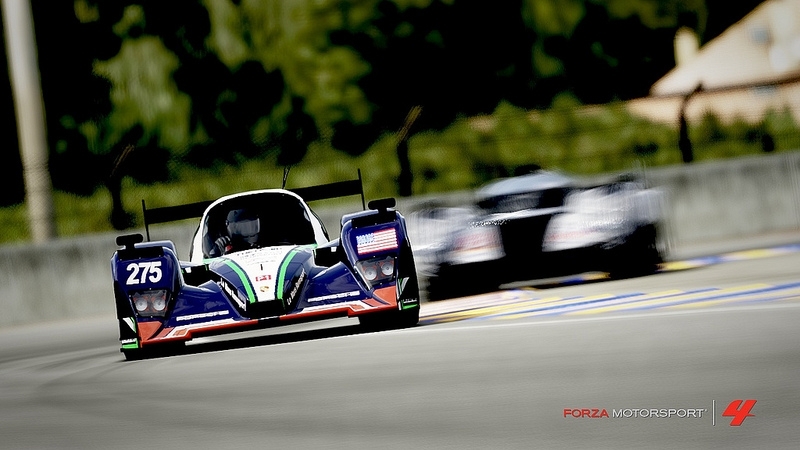 In May 2012, LMR entered its first team ever in TORAs 24hr of Le Mans 2012. 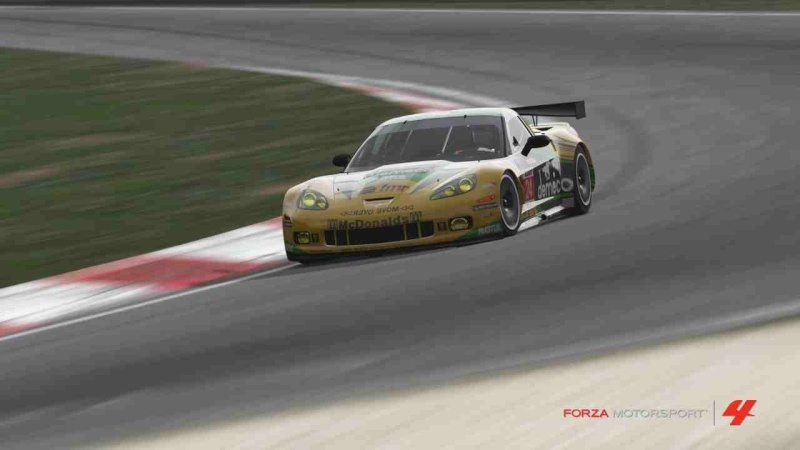 Fittingly LMR entered with a Porsche GT3 RSR with LMR Deftone MX, LMR DJFiiSHYPR and Nick James123. Despite a promising start the trio missed out on the possible podium by running into stint issues and problems on track. But a lot was learned from that first race and it also started a fire within Deftone that would see him push his club, teams and drivers further and faster than even he thought imaginable in the beginning. 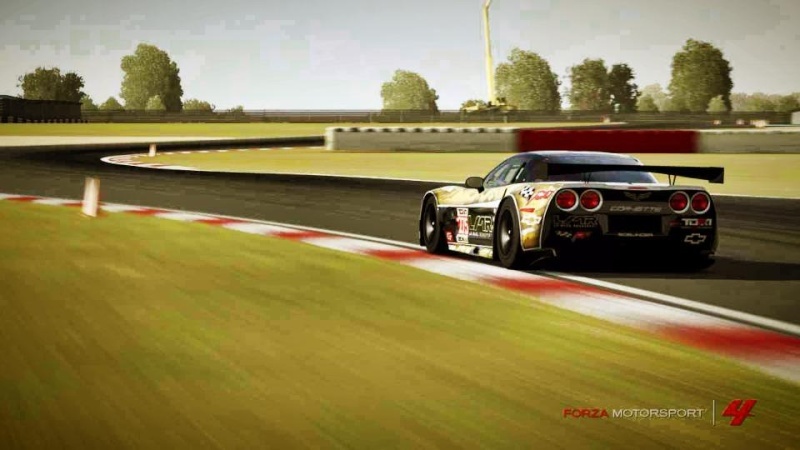 The next 12 months was spent getting the club in touch with the workings of professional online racing including series like the LLBM Le Mans, Formula Forza, Midnight Le Mans Series and of course TORA. As that historic weekend in June rolled around there was an excitement in all 3 garages that raised the LMR flag. We had been relentless in our testing, relentless in our tuning, relentless in our commitment. Le Mans Rennsport would enter 3 cars for the epic TEC 24 hrs of Le Mans for 2013. The lead car would be the #275 Porsche/Crawford of LMR Deftone MX, LMR Dub Soljah and MXR Claim and ONR KennyKen. The sister car would be the rookie team of Midnight LMR, Johnny2shoes and LMR leadgoddase driving the #372 Honda/Lola. 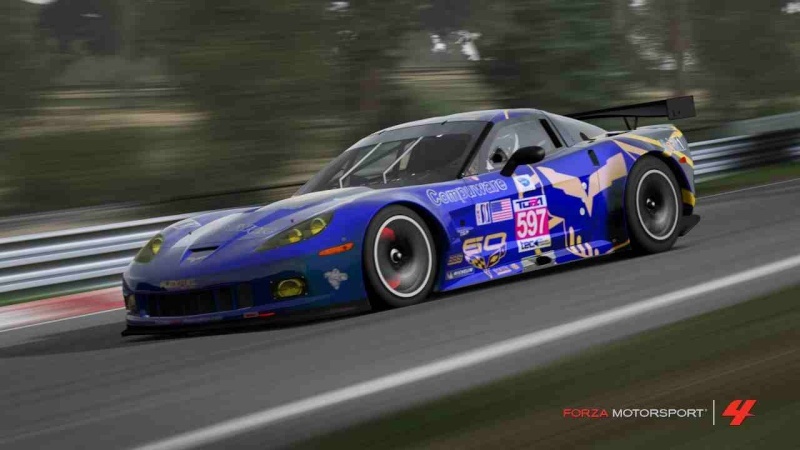 The final car would be the GTE entry of LMR Scuderia, LMR DJFiisSHYPR and IBlueIJaBBRexI in the #27 Ferrari F458 Italia with a privateer squad driving alongside LMR in the #6 MKR Corvette C6R piloted by LMR DarthMario, LMR Warspite, LastNewtStanding and IRT YT Rice. After an incredible race that saw the lead change in both classes multiple times and some of the biggest names in the best cars fall throughout the night LMR looked to finally have their hands around the trophy in TEC. With the #275 car leading and the #372 making a recovery through the night it appeared as though we could not be stopped. But again tragedy would strike LMR as a racing incident between the Porsche/Crawford and the Team Jeremy Kyle R18 would see the Porsche/Crawford go sailing backwards into the wall near the Dunlop bridge, crippling the car beyond repair and seeing LMRs lead hopes crumble. All would have been lost, as the GTE Ferrari entry finished 12th, had it not been for the #372 Le Mans Rennsport MPD which finished on the podium behind F4H Blue Sonia and CRA Team 2 teams while the privateer squad of Mushroom Kingdom Racers in the #6 C6R finished 3rd in the GTE class behind The Sweeney and F4H Blue Shaguar. So the end of another TEC saw better results but held more lessons to be learned. 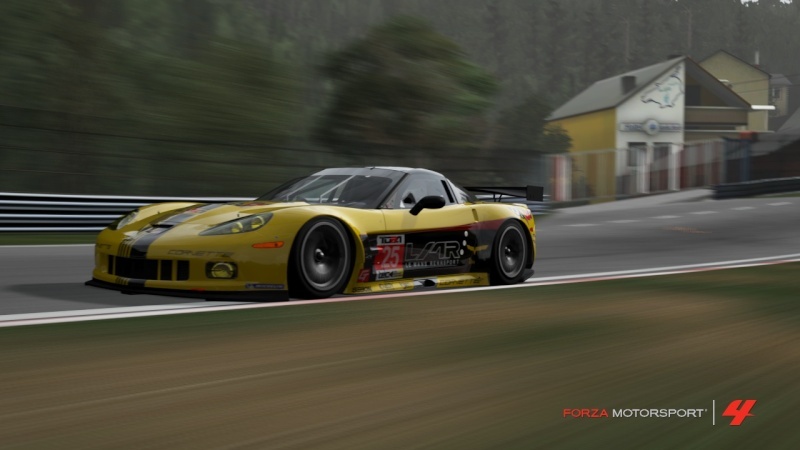 LMR came to Silverstone with our biggest effort yet as we entered 5 Chevorlet Corvette ZR-1s with a combined team effort of 14 drivers. LMR brought the #275 Gulf Le Mans Rennsport with LMR Deftone MX and rainonef1. The #372 Le Mans Rennsport MPD with Midnight LMR, j0hnny2shoes, MXR Claim and LMR leadgodasse. The #332 Le Mans Chevsport with LMR Warspite, IRT YT Rice and LMR Dub Solijah. The #24 LMR Larbre Competition with LMR Zakspeed, LMR Blackhawk and IBlueIJaBBRexI and the #25 Moretti Racing LMR with LMR DJFiisSHYPR and LMR Panamera. Silverstone again saw us collaborating with the privateer squad of Mushroom Kingdom Racers in the #6 Honda Civic Type R of LMR Darth Mario, LastNewtStanding, XMT Sch1wo and HLR Warrior. Despite the early retirement of the Larbre Comepetition team, Silverstone was the most all around successful event for LMR so far in the TEC. The #275 Gulf Le Mans Rennsport team finished 2nd overall while the #332 Le Mans Chevsport team finished 8th overall and the #25 Moretti Racing LMR team came in 10th as the #372 Le Mans Rennsport MPD finished less than 2000ft behind their teammates in the 11th spot. Meanwhile in TCC the #6 Mushroom Kingdom Racers Honda finished 5th in class as they overcame 3 A lobby teams while racing in B Lobby. This set the stage for LMR to attack the final round of the TEC at Nurburgring with the sole intent to bring home the win. Now as we head into the final week before the 12hrs of the Nurburgring, Le Mans Rennsport has done all a team can do to prepare. In between events we have acquired new talents and new teammates including legendary Forza racers like The Bulin Wall5, TexasPotatoLord, II ALEX P II and IRT Bubba to name a few. We will enter the Green Hell with 7 GTE cars as we focus solely on the prize of winning overall. Below we would like to share the collaborated efforts of our team members and the year in TEC representing our beloved Le Mans Rennsport. From all of us here in the staff of LMR, we would like to say thank you to all our drivers, supporters and friends. It has been an incredible journey not only throughout TORA but through all our past and continued efforts in the online racing world. As we enter what will be the defining finale of the 2013 TEC season and possibly of Forza 4, we can go forth with our heads held high knowing we have put forth the maximum effort that a team could muster. I can speak on behalf of both LMR Deftone MX and LMR Warspite when I say I could not be happier alongside any other racers than my teammates here at LMR. We appreciate everything you have done and good luck to all of you at the 2013 TEC 12 hours of the Nurburgring. A beautiful look at our Endurance Championship history! Awesome Chris! Love it! Very good write-up there Midnight! Hello Jay, thanks for posting! The iRacing branch of the team is very new and will be growing in the coming year. I'm glad you will be with us for it!